Opening on October 4th at Z33 in Belgium, Future Fictions. Perspectives on worldbuilding explores how contemporary artists, designers and architects relate to future thinking and imaging: from map-ping, questioning and criticizing, to developing complex visions about the structures and systems that may shape our life in the future. 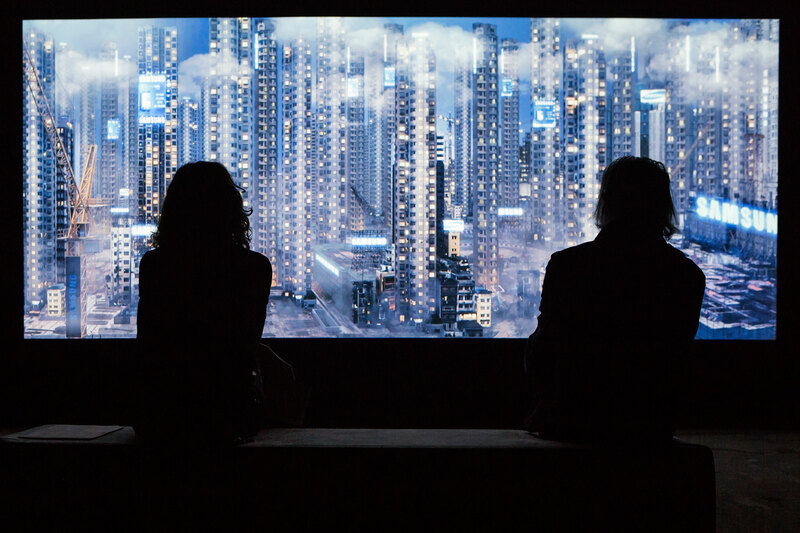 Tomorrows Thoughts Today’s Liam Young will première a 3 screen projection work ‘New City’, a series of near future city skylines. New City is a collaboration with the authors Jeff Noon, Pat Cadigan and Tim Maughan and musicians Coldcut.